is thism by any chance, a “Marvin the Paranoid Android” reference? 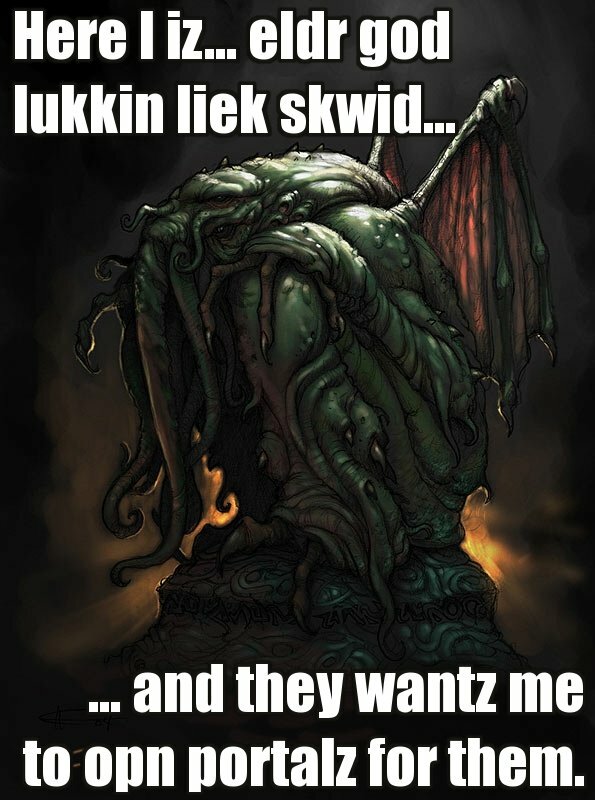 Cthulhu maeks very cute emo boy. Roflz! +1 to you! I lol’ed. Glad someone caught it, I didn’t at first . . .
i didnt catch it first… ah well!